These circuits are a great followup to my shorter running sessions. My muscles are warm from the run and the entire circuit takes a little less than twenty minutes to complete. 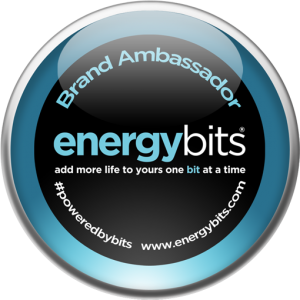 I can run, complete a circuit, and stretch in about an hour and fifteen minutes! And despite the short duration, after completing the circuit, I can feel it in the targeted muscle groups. I still need to try the three at home circuits, but I will probably up my exercise time to thirty seconds per move next week, as well as increasing the dumbbell weight on a couple of the moves as well. The at home circuits are common moves that most people have done before, so the extra time on those will not be too catastrophic to my health. Last night I was able to clear a spot and hang up my early Valentine’s Day present in my Man Room/Fortress of Solitude/The Place to Be/Man Cave or whatever I will call it. Susan gave me the gift early since I accidentally found out what it was by getting home earlier than expected on Tuesday. She got a me a medal display from Victory Medal Displays. We both liked the look of this particular display and thought that it would look better in our house than most other displays that we have seen. I knew I was going to be gifted this display at some point, but I honestly assumed it would be a Christmas gift since I do not have many medals right now. 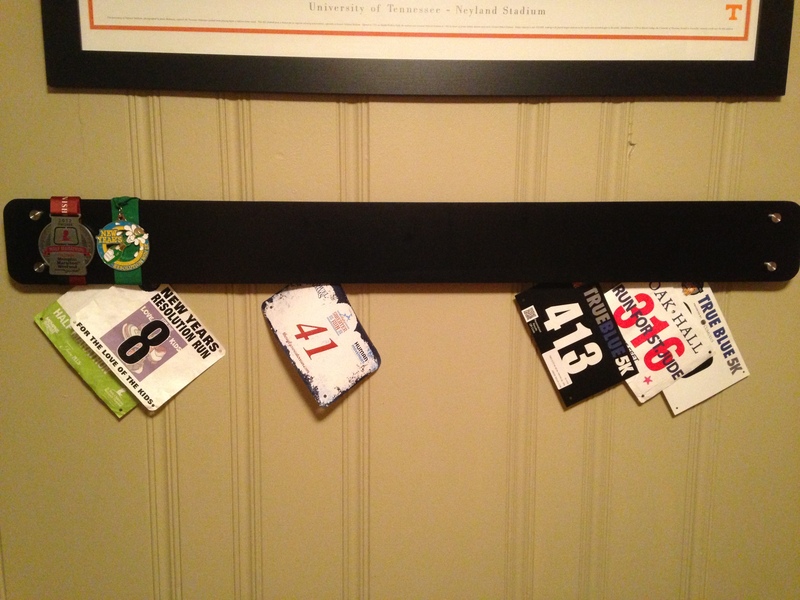 The display also has a way to hang my bibs from it while keeping a clean look that won’t drive my OCD overboard. 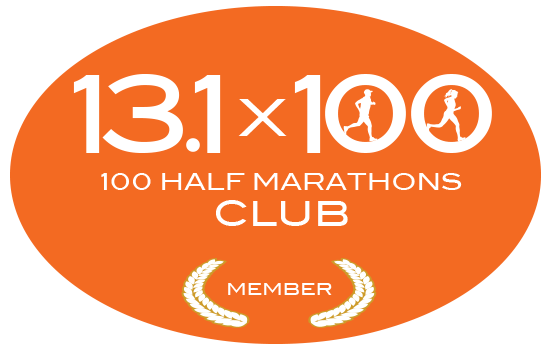 I can even add another one below this if/when I get to that point with race medals. Once I fill it out some more, it will look even better! I also finally got my replacement watch from Nike yesterday. 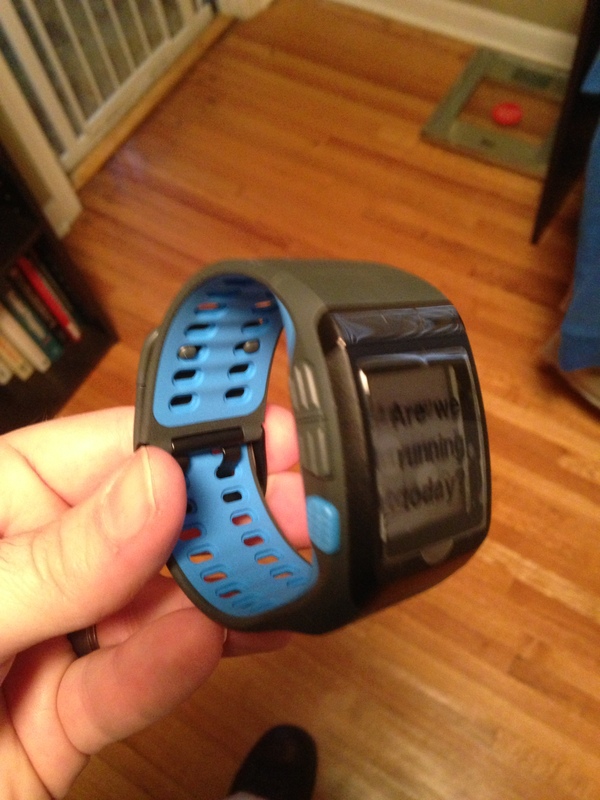 Since the color of my previous watch was out of stock, I opted for the anthracite/blue glow version. After telling my wife about it, so said that was the color she originally was going to get me, but opted for the black/volt (neon yellow or green) since it came with a shoe sensor and the blue did not. This afternoon should be my maiden voyage with the new and improved Nike+ Sportswatch. A color combo every Memphis fan would love! This afternoon looks to be perfect weather to run, which is great since it is going to be cold and rainy the next couple of days. I ordered a new pair of shoes this week so I could start to break them in before my current running shoes get too worn out. They shipped quicker than I anticipated and there is an outside chance that I would get them today. They were at the Memphis UPS facility this morning with an expected early delivery date of today, but I just checked and they are now pushed back until tomorrow for some reason. Oh well, they really shouldn’t ave been here until Monday, so I can be a little patient. I didn’t get a run in on Monday since the wife and I went shopping for a new couch. Currently, we have a gigantic sectional that is much too large for our house, but is very comfortable. It is a hand me down, and Susan hates it. We saw a couple of couches we liked last night, but I didn’t want to pull the trigger as of yet. We shall see. The original plan was to go to one place and then head back to the house. If we would have stuck to that, I would have gone for a run, but our first stop was not fruitful, so we went to a few more places. One of these stops was near my favorite BBQ place, Central BBQ. I can’t refuse the BBQ nachos there, so that is what I had for dinner, even though they are not remotely runner friendly. But, they are definitely worth the extra miles and exercises I’ll need to do this week. 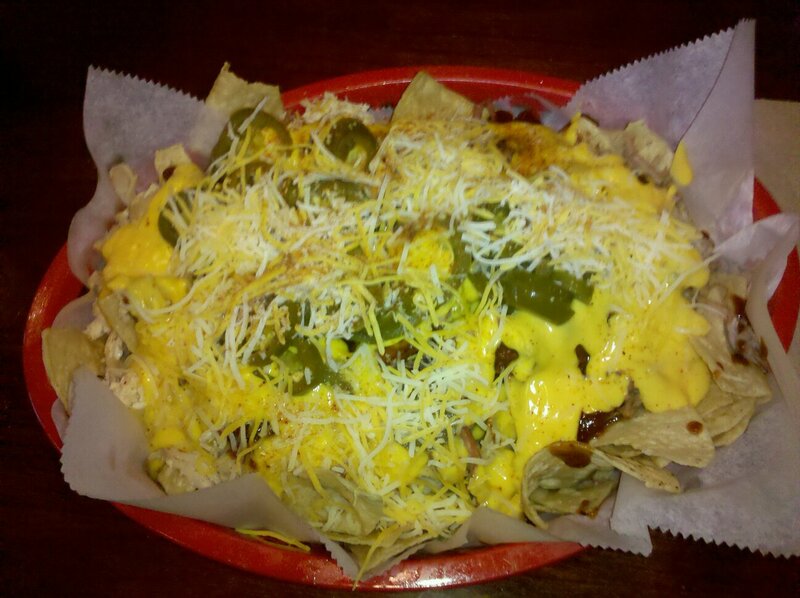 A belly full of nachos made me very happy, but also meant I would not be doing any workout that evening. It is very difficult to finish the full order. Since Sunday was my rest day, and Monday got away from me, I was crucial that I got in a few miles today. 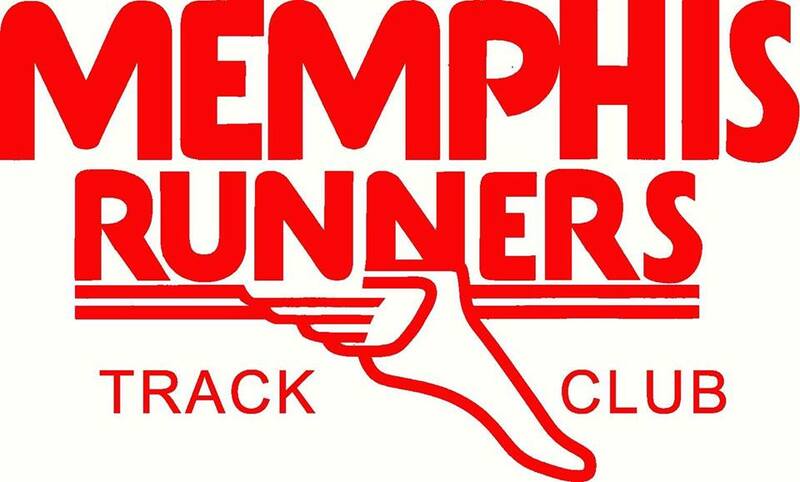 I was unable to get into the TRX class at my gym, so I just went straight home to run before the weather got bad here in Memphis. It was 75 degrees and very humid at 5:30 pm, so I decided not to go all out tonight since my body isn’t adjusted to such weather. I’m still running without my Nike+ watch, so my iPhone subbed in. Despite the humidity, I felt good on my run, and was able to maintain a 10:00 pace over the 4.27 miles. I started very strong, but tapered off a little bit on mile three. It is weird, if I would have this weather in three months, I would run all day long, but since it is January, it zaps me. I drink lots of water daily, but I knew that I sweated most of that out tonight, so I didn’t attempt to do any TRX after the run. So, I’m still behind my weekly workout goals, but I’m not too upset because I should have time and flexibility to incorporate the extra workout in later in the week. Susan also gave me a Valentine’s Day gift early today (only because I got home first and accidentally saw it), but I will post about it once I get it displayed in my man room at the house. The gift was a medal display for my growing race medal collection. 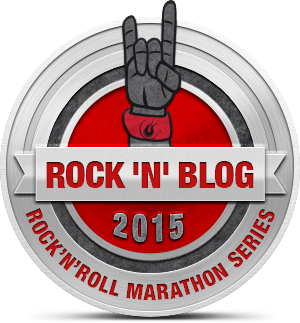 Hanson Brothers Plan – 18 week plan that focuses on pace and tempo, not distance. You won’t run over 20 miles on any single day, but rather teach your body to maintain a pace. I’m going to do a little more research on these, an possibly a couple more plans over the next few weeks to decide my training strategy. Most of the plans have structure for beginning, intermediate, and advanced runners to choose from. I’m targeting the intermediate range provided my running history over the past two years and my 2013 running goals. Also, I will need to incorporate my 2013 races into my training period without sacrificing too much on my races or training runs. If anyone has any insight on these or other training programs, I would greatly appreciate it. I’m not looking at running at a Boston Marathon pace, but I would like to complete the marathon in an upright position with a finishing time in the four to five hour range. I meant to post yesterday, but nothing really went to plan, so I didn’t get around to it. Yesterday was slated to be my long run for the week, and looking at the weather, it was going to be a perfect day for a run. Too bad, nothing went rights for me. I usually sleep in a little bit on the weekends, but Saturday I took it a little to the extreme. I stayed in bed until about 10:00 am, and once I finally forced myself to get up, I was in a fog. Since my plan of going for a morning run was completely shot, I got some breakfast for Susan and me, and we watched some TV. I’m sure this would make my allergist happy since he is adamantly opposed to me running in the mornings. It was during our mini marathon of Hoarders that I decided to target 2:30 pm as my running time. The weather was going to be nearly perfect, 55 degrees and sunny, with a slight breeze. Also, it would mean that my entire run would happen in the daylight hours and it wouldn’t conflict with too much else I wanted to do. So after Hoarders, I started to clean and box some stuff up for Goodwill, since that show seems to put me in the spring cleaning frame of mind. I was just doing some piddling chores around the house, when I noticed that it was 2:20! So I grabbed my running gear and started to get ready for my run. I ate a banana and looked at my Nike+ Sportswatch and noticed the screen was completely blank. I hit every button on the watch, and still nothing, so I plugged it in and the battery icon popped up showing the watch as being completely dead. Great, more delay. So as the watch was charging, I decided to mess with the dishwasher. I hadn’t been able to locate the part that I need, but I ran the dishwasher for a cycle with no dishes to see what happened. Probably not my smartest decision in life, but since the dispenser had been temperamental in the past, I thought maybe a two week hiatus would help prolong its life. So, when the cycle was finished, I opened up the dishwasher and it had worked! I was happy, and even though I was still going to replace the part, I was relieved that I might not to hand wash every dish in the house for a couple more weeks. I loaded the dishwasher and checked my watch. Roughly 30%. So I start some laundry and watch some basketball on TV. Another thirty minutes passed and I checked the watch again. About 70%, great. I do a couple more chores and check the watch again at 4:00 pm. It’s near 100%, but has all the wrong info on the screen. I reset the time and date, gather my gear, and head outside. I link the watch with the satellite and start my nine miles. I get to the first stop sign, and check to make sure my watch is working properly. It was showing all zeros, so I was a little pissed. I head back to the house and put the sensor in my shoe and link it to the watch. I do a practice run for a about thirty seconds, and the watch is producing a pacing time and showing distance traveled. I head back on my route, kinda upset with all of the issues that I’ve had with the watch, but it still feels good outside and I am still getting my miles in. The plan was to run the first couple of miles of my most traveled route, then adventure out a bit to get the needed miles without just doing laps. I glanced at my watch around what should be mile one to check my pace since I was feeling rather lethargic still and I was curious what the numbers would say. My watch was showing .02 miles traveled! Really? I’m angry about this, but I was determined to complete my run. I decided to improvise my route a little bit so I knew how far I was going. I would have used my phone to track the run, but I just upgraded a couple weeks back and didn’t want to go through all of the setup. I ran my usual course in the neighborhood twice, which is about 4.25 miles, and then from my house to the end of the block and back for the additional half a mile. I don’t have an 100% accurate time or pace, but from the time I left my house the second time until I returned was about one hour and thirty three minutes, so I’ll say my pace was just over ten minutes per mile. I let my watch run the entire time and after the hour and a half, it displayed that I had ran .26 miles! So, I guess of using this watch until Nike sends me my replacement is out the window. I checked my claim status on the watch after I showered, and it said that replacement approval was still pending! Great, I was quoted five to ten business days to get get my replacement, and since that is a deadline of Thursday, I’m not overly optimistic that the deadline will be met. And then this afternoon, Nike contacted and informed me that my watch is out of stock so I needed to pick a new color. I did, and then I asked when I should expect it. I was told by the end of the week, or very likely early next week. I informed the guy that I placed the claim on the 16th, and would appreciate them upholding their original deadline. He said he will do what he can, but they don’t process orders on the weekend. But they called and emailed me today, a Sunday, about processing my order. The craziest part is that I live less than ten miles from where the watch is going to be shipped from, and the guy I spoke with is also in Memphis! He said that they ship next day air, buy even the post office would get it to me on the next day! Heck, at this rate, just let me drive to the facility and pick it up myself! We shall see if I ever get my replacement watch or not. I was also informed that the new color I chose does not come with a Nike+ sensor, but should work with the one I got with my original watch. We shall see, I suppose. I wasn’t 100% certain if the intent for the moves that focus on one side of the body (i.e. DB Row) were intended to rotate from side to side or focus on each side for the entire 20 seconds. I opted to spend the entire 20 seconds for each side. I figured that it was better to do the extra work rather than short change myself on the exercises. Once I finished both sets, I decided to hit the elliptical for another five minutes just to round out my workout to an even forty-five minutes. Now, it’s dinnertime and a trip to the in-laws, so I’ll leave the post as is. I’ll update tomorrow about my weekly long run. I woke up today to sore calves and shoulders, so I decided to run after work, hoping that my legs would feel a little bit. Sadly, after work, I was still sore, but I decided to run anyway. And of course I have run outside twice this week and once indoors. The temperature for both outdoor runs was in the 30’s and the indoor run was on a 55 degree day. I sure scheduled those runs correctly… And, if it wasn’t for my wife, I would have worn my beanie out for 2 minutes of my run, and carried it for the next 40. So, thanks for that babe. I hoped that my legs would loosen up a little during my run, but that didn’t happen until I hit mile four, but I still kept a decent pace. I ended up running 4.21 miles at a 9:49 pace, which very close to what I have been doing the past few weeks. And looking at my splits, I did notice that as my legs finally loosened up, my time drastically improved. All and all, I felt that it was a good run. 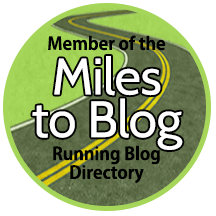 This blog is primarily focused on running, but I had to celebrate a couple of big moves for teams that I follow. First, the Atlanta Braves acquired Justin Upton form Arizona. The move gives the Braves one of the top two or three outfields in all of baseball, and they didn’t have to give up too much to get him when you consider all the factors (salary, contract years, the top five Braves prospects didn’t get traded, his brother is a Brave). But, I won’t bore you with my trade analysis. And secondly, Zach Randolf was named to the Western Conference All Star team today! He becomes the first Grizzly to ever be named to multiple all star games, so that is quite exciting as well. Also, last night, when the Grizz thumped the Lakers, the only three Grizzly all stars ever were on the court in the form of ZBo, Marc Gasol, and playing for LA, Marc’s brother Pau, the first Grizzly all star. I know I made fun of all the ads a couple posts ago, but Susan and I DVR’d The Following on Monday night. We watched it last night after dinner, and where as it is not on par with Breaking Bad or Justified, it was still quite an intense show and I am intrigued to see if Fox can keep it up for fourteen more episodes. I’m sitting on the couch, watching the Grizz vs Lakers game (Grizz are up 83-73 after 3) and thought it would be a good time to update my weekly training. I know these posts aren’t the most exciting, but they are a part of the process, I suppose. Monday was a rest day, as is my custom after my long runs. Rest is very important from time to tome, and it can be very difficult to adhere to this sometimes. I tend to get ultra focused on my goals and forget that I need to give my body a break, especially during weeks that my weight fluctuates a little further north than I find acceptable. When I do decide to do more than stretch on my rest days, I will do some light bike riding or a little bit of walking, just to stay loose. On Monday, I didn’t even do that. I just ran a few errands, watched some basketball, and took advantage of a holiday from work. Tony Wroten just blocked Kobe Bryant. Life is good. And Darrell Arthur has 18 off the bench. I love beating the Lakers. Tuesday, I wanted to do a combo of running and TRX, so I logged my miles first, then did a quick TRX routine. I ran my favorite route through the neighborhood, which is the norm for my mid-week runs. It was about 36 degrees when I hit the pavement, but honestly, it felt much colder to me. I almost never grab a beanie to run in, but I had to on Tuesday. And of course, half a mile in, I remembered why I never run with my beanie, and I had to carry for the rest of the run. I ran 4.32 miles and my average pace was at my recent norm of 9:46, but my times were getting noticeably slower with each mile. When I completed my run, I did feel good, and that is the most important fact. I didn’t have a workout scripted when I started my TRX routine, but I didn’t have any trouble choosing some challenging and well-rounded exercises to perform. I did my standard warmup stretches and squats, then did two consecutive cycles of rows, bicep curls, chest presses, overhead triceps extensions, resisted torso extensions, one armed bicep curls, one armed row, low and high ab crunches, pushups, planks, pikes, crunches, and leg lowering. While typing it, it seemed like a ton a moves, and I guess it was, but TRX is so fast paced, so it only took about 25 minutes to complete. If they way my body felt post workout, I think that I did a decent job of pushing myself with my exercises and plan. Today, I went to the gym, my long lost friend. Now that I have my TRX home system and the weather has been relatively mild for my runs, I have been doing the bulk of my exercising at home. But, I am paying for a gym membership, so I decided to get my money’s worth tonight. I warmed up by running 3.13 miles on the treadmill (I mean, I do need to get my miles in) at a 9:40 pace. Then I moved on to do some weight training. Since I am competing in a couple of obstacle races in April, I thought I might want to do a little training for them. Warrior Dash offers some good workout plans to utilize in training for their race, so I’m going to do their recommended circuits two to three times a week in addition to my running and TRX. I wasn’t sure on how much weight to use on each exercise, but after completing the circuit, I think I will bump it up a little bit next time I attempt this circuit. I am very interested to see how sore I am in the morning or if my TRXing has address a lot of the same muscle groups as today’s workout did. Now that I have thoroughly bored y’all with my training update, I will sign off of here to tackle some reading comprehensive GRE practice.